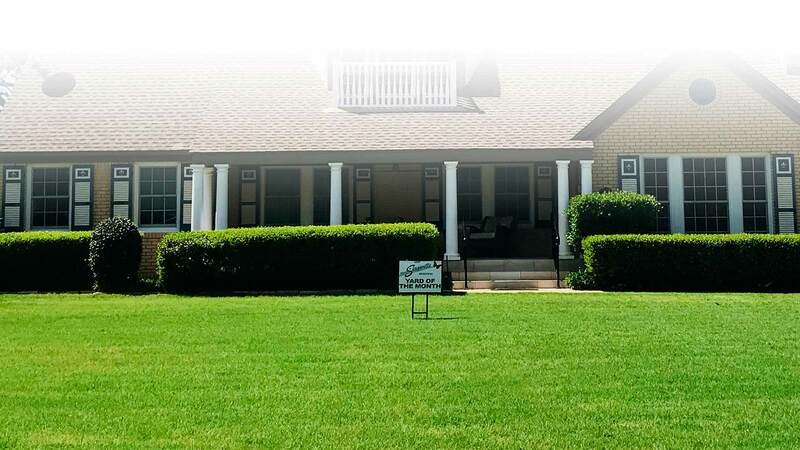 LawnLab offers a complete range of lawn care services for Garland, Wylie, Sachse, Murphy, Mesquite, Rockwall, Forney, and surrounding areas. Please click any link below to learn more. Maintaining a healthy, beautiful lawn can take a lot of work.Relax and allow us to make your yard the envy of the neighborhood. Never underestimate the value of healthy trees and shrubs. Instead of guessing how to care for these giants, let our expert team do the heavy lifting. Nobody wants grubs, but few know what to do about them. With our help, we can come up with a plan to get rid of them and keep these pests from coming back. This isn’t the kind of aeration your father used. Liquid aeration is gentler and more effective, making your lawn better than ever. Just because the weather turns cold doesn’t mean you have to endure an ugly lawn. Learn how ryegrass seeding can keep your yard looking great all the time. These pesky ants have earned a scary reputation. Learn more about them and how we can help get them under control. You have better things to do than worry about fleas and ticks. Through our services, you can avoid the negative fallout from these tiny pests. Even the healthiest lawns can struggle with specific issues. Like any specialized team, our professionals can make pinpoint strikes to cure whatever ails your grass. If you have a business that takes pride in it appearance, Trust LawnLab to help keep your grass green and gorgeous all year round.